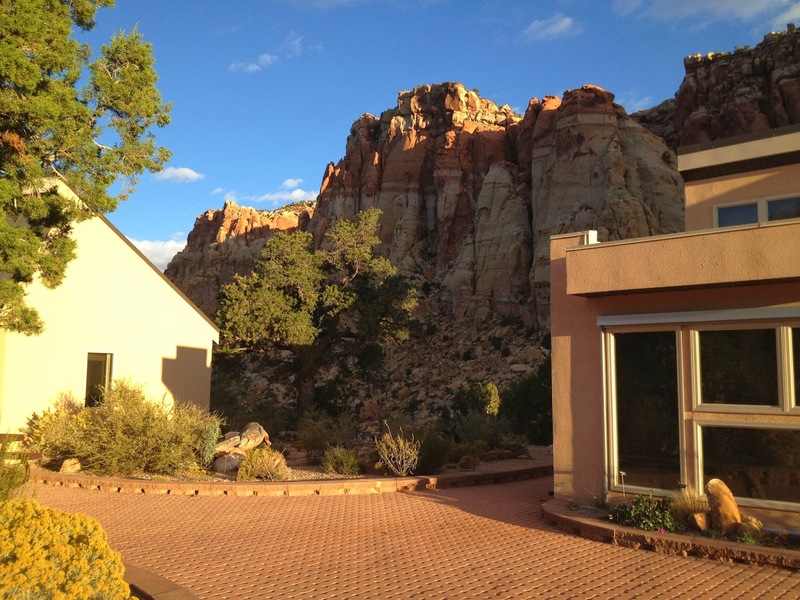 During September of 2013, the Snow College Geology Field Studies class had the opportunity to go to Capitol Reef National Park. Most of the area is part of a monocline (a one-sided fold). Erosion of this fold exposes a many different rock layers from the Triassic Moenkopi Formation to the Cretaceous Mancos Shale. We stayed at the UVU Field Station which is located in the park near Pleasant Creek. 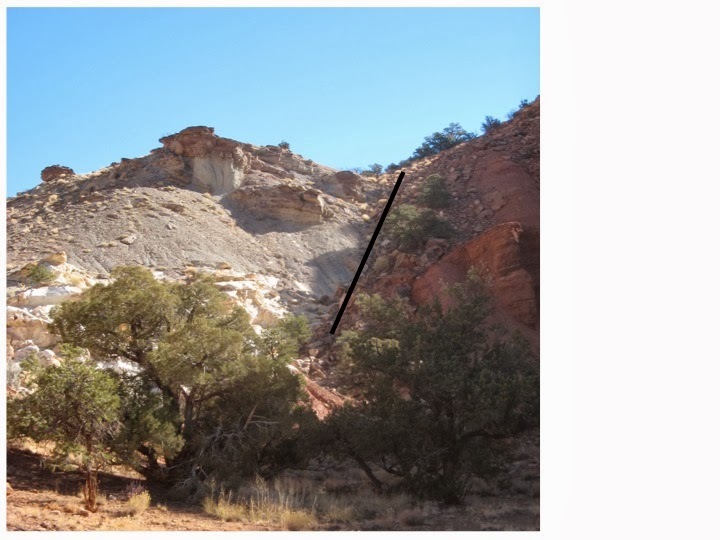 Exposed near the field station were the Moenkopi, Chinle and the cliff forming Wingate formation. My favorite part of the field trip was the fault just north of Chimney Rock. We learned how to identify a fault in the field - the red Moenkopi was next to the green Chinle (instead of below it). We also found evidence of the fault in the form of both slickensides and fault breccia. This was my first experience with geology in the field and it helped me to ensure this was what I wanted to major in. It was great it help me to understand the concepts in real application. I look forward to the next trip. It's nice experience for real application.Thanks for sharing.